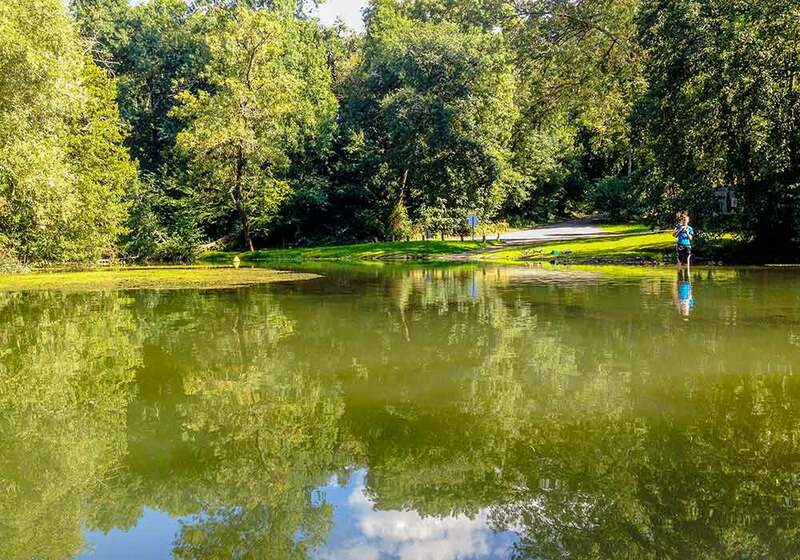 Enjoy fishing and other nature-oriented activities at the water’s edge. 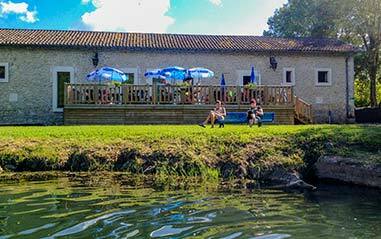 Our campsite in Dordogne awaits you alongside the Isle River. 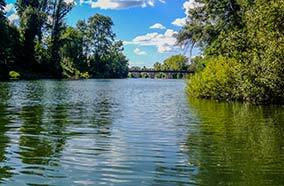 Come relax and discover the Zen of our campsite along the river’s edge. Whether you like to fish or not, you’ll discover a special kind of well-being at our campsite along the relaxing riverside. 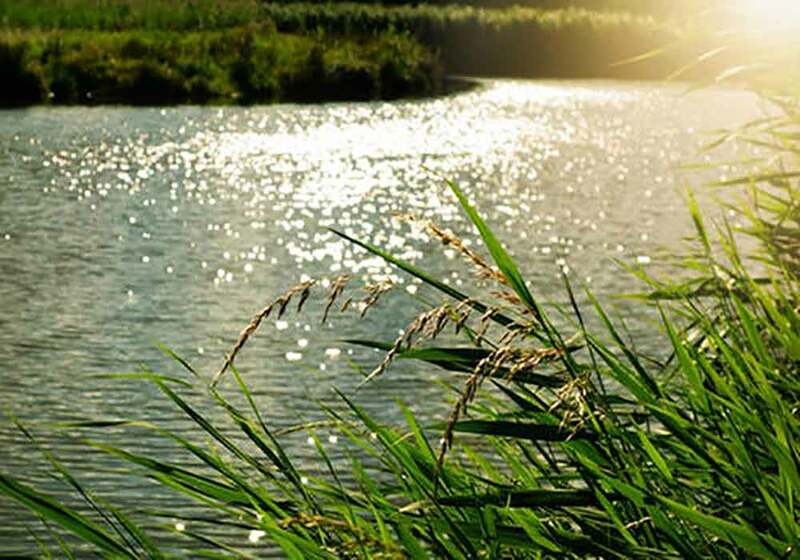 Take the time to stroll along the riverbank and discover this particularly soothing atmosphere. If you’re athletic, set out on the cycling path, a well-equipped greenway. Several footbridges are available to you, including one that leads directly to the centre of Montpon. The river access at the centre of the campsite is popular among people who fish, since it simplifies the transport of fishing equipment. Set down your pole and relax under a weeping willow… Shhh! They’re biting! Would you like to initiate your children to fishing? The river’s edge will be their paradise. The Chandos waterside leisure area, just three minutes’ walk from the campsite, offers children an area adapted to fishing. The river just off the campsite earned the “Pêche Passion” label in 2017 for its rich, varied piscicultural population. Don’t forget to pack your bait to fish bleak, roach, pikeperch, carp, eel, black bass and catfish. Children will enjoy the nearby leisure area, which boasts the “Pêche famille” label. Both labels acknowledge a high quality of reception and fishing. 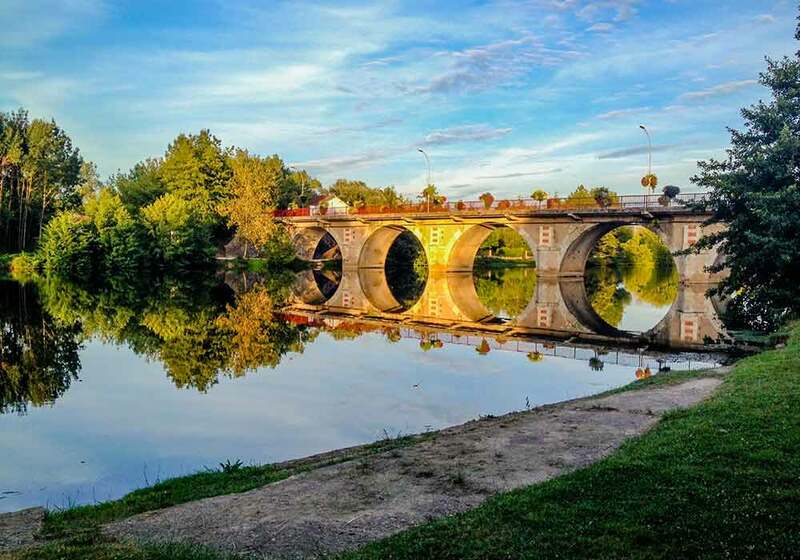 Affluent of the Dordogne, the Isle is a river with peaceful course and relaxing landscapes that offers multiple opportunities for activities. Old trade route of importance between the Perigordian lands and the Atlantic facade, it is dotted with towpaths and locks. Its banks are pleasant places for walking, cycling, relaxing, fishing and picnics. They also contain old mills and old manufactures to visit. 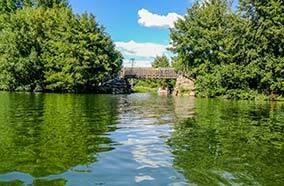 Its calm waters are ideal for family water sports such as canoeing, stand up paddling or electric boat. Tourist boat trips offer you to take the path of the boatmen with, on the route, passages of locks. Before arriving at Montpon-Ménestérol, the Isle crosses especially the cities of Périgueux, Saint-Astier and Mussidan. Close to the campsite, the leisure center of Chandos extends its 11 hectares of nature in the hollow of a meander of the Isle. A footbridge connects it directly to downtown Montpon. 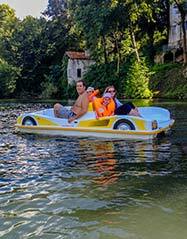 Feel free to browse the pages of our campsite to discover our accommodations as if you were gliding down the river here in Dordogne.